It goes without saying that things have been extremely ‘manic’ here at Manic Minotaur Towers. 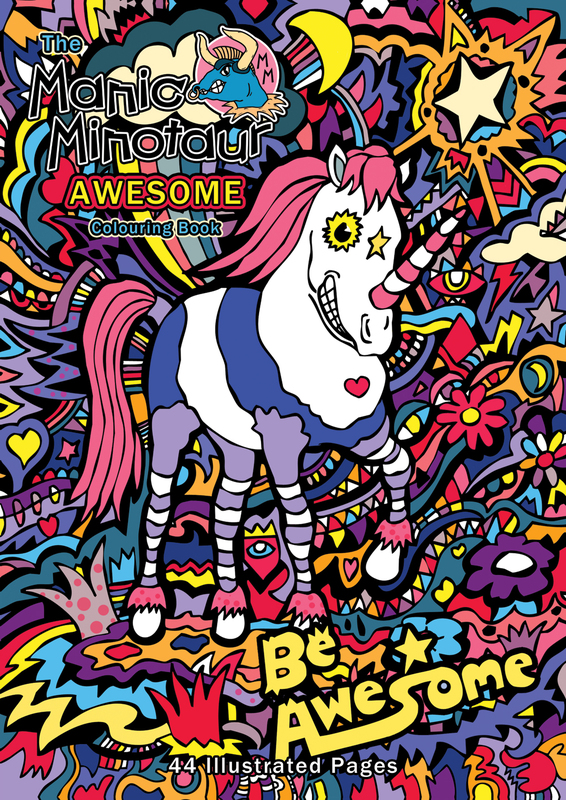 Firstly I must announce the imminent arrival of the Manic Minotaur AWESOME Colouring Book! Having been asked on various occasions if I was going to release a book, I have compiled 44 of my drawings stripped of colour. 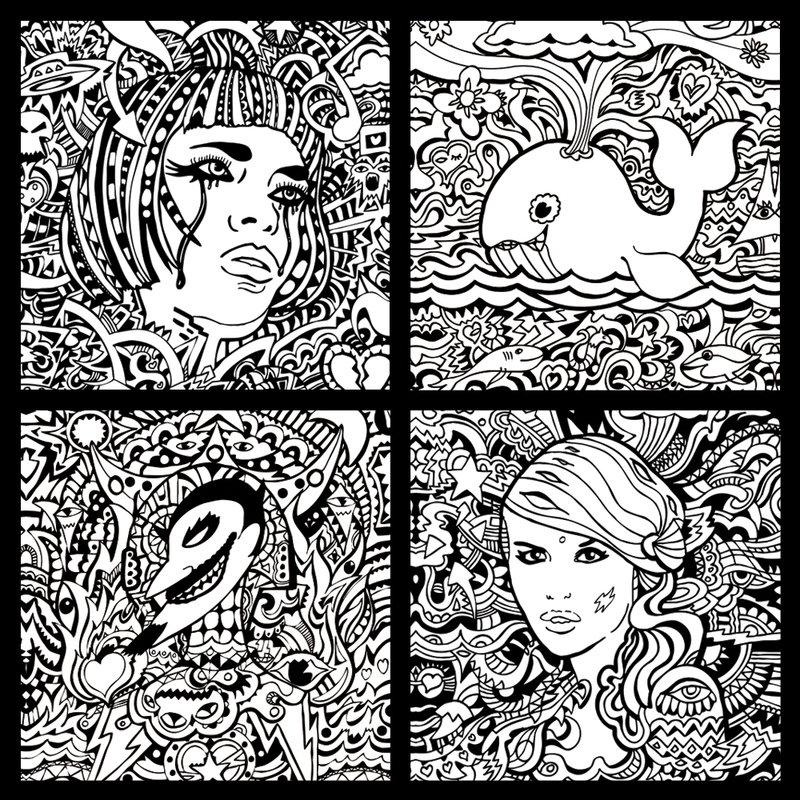 Once listed you will be able to purchase a copy from the Manic Minotaur Etsy Shop. Here’s a teaser. I’ll post a more in-depth look once the book is here. Staying on the theme of colouring books, I submitted a drawing for Amelia’s Colourful Colouring Companion: Adult Coloring Book. A colouring book compiled by the creator of Amelia’s Magazine, Amelia Gregory, featuring lots of great work by great illustrators. 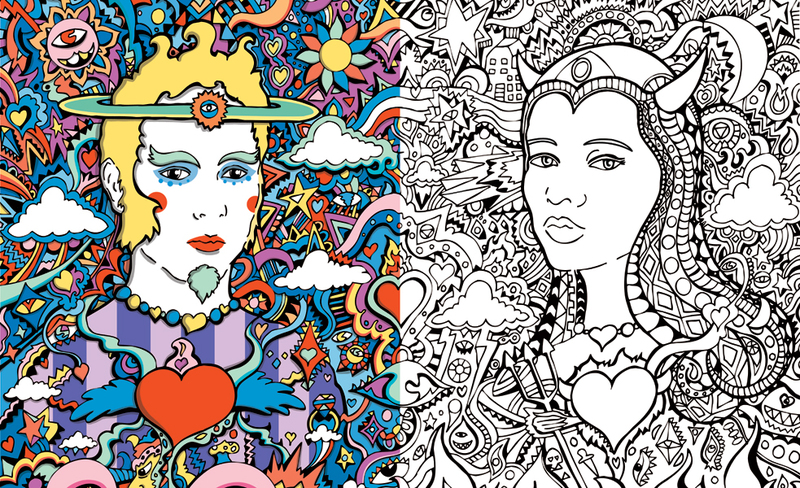 Each illustrator had to create a double page spread with the left side already coloured in and the right black and white for all the lovely people to saturate in all the colours of the rainbow. Amelia has launched a Kickstarter campaign to raise money for the publishing costs. Anyone can pledge cash for postcards and books. It was even featured as the main campaign on the Kickstarter website. My double page spread. A tale of forbidden love spanning heaven and hell. I’ve now got my own badge making machine and have been designing and making lots of badges and lots of badge packs. Great fun! You can see all the Manic Minotaur badges here in the Badges Section of my Etsy shop. Here’s some sticker designs I did. Bazaar Brighton, Fairy Tale Fair in Brighton, Wild Strawberry in Brighton, and the Crafty Fox Market in Brixton and Peckham. I thoroughly enjoy taking part in these events and still have quite a few in the run-up to Christmas. Crafty Fox Market at the Dogstar pub, Brixton and Fairy Tale Fair, Brighton Open Market. Wild Strawberry Early Xmas Craft Fair – Unitarian Church, Brighton – Saturday 14th November Saturday 28th November, 10am – 4.30pm. Wild Strawberry Creative Christmas Fair – Unitarian Church, Brighton – Saturday 28th November, 11am – 7pm. Brighton Etsy Team Christmas Market 2015 – Open Market, Brighton – Sunday 6th December, 11am – 5pm. Check out all the great makers attending HERE. Crafty Fox Christmas Night Market – The Museum of London Docklands – Tuesday 8th December, 4pm – 9pm. Check out all the great makers attending HERE. Bazaar Brighton Christmas Fair – Unitarian Church, Brighton – Saturday 12th December, 11am – 5pm. 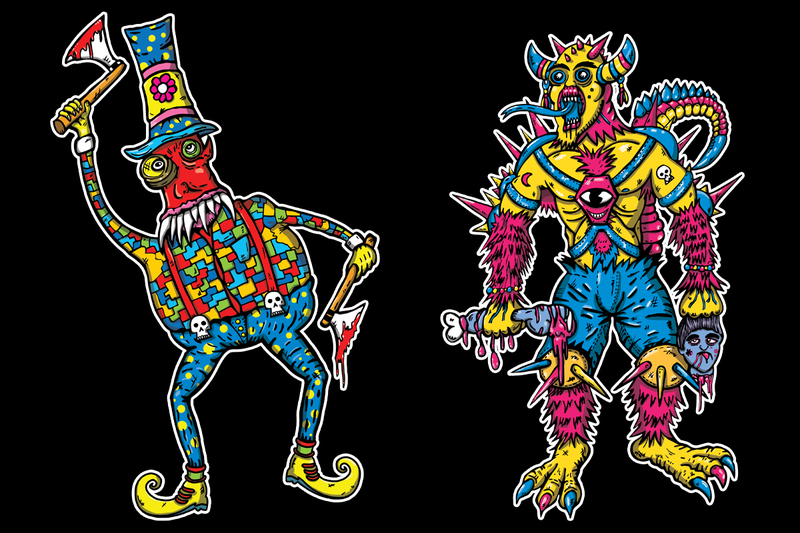 Remember you can follow Manic Minotaur on Facebook Twitter Instagram!